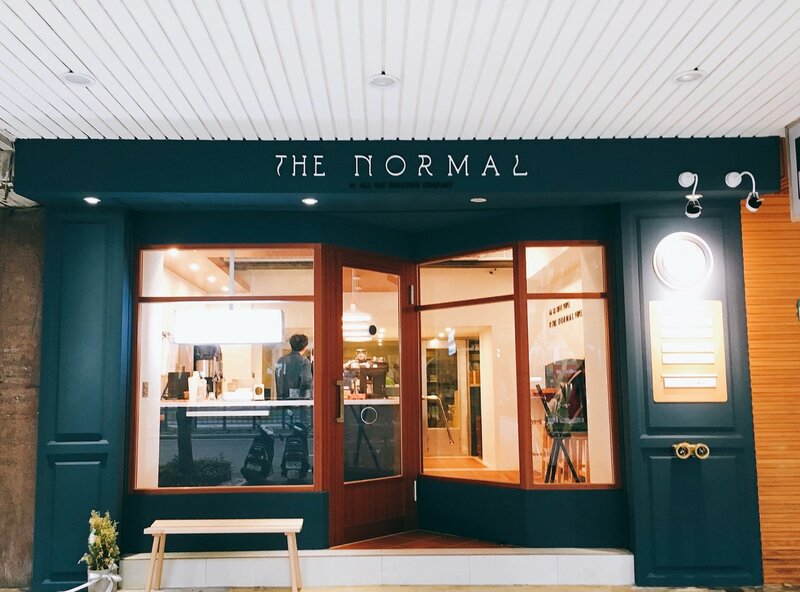 有著藍色裝潢的 The Normal 咖啡店座落於台北仁愛路四段上, 是少數國父紀念館捷運站週邊有插座不限時的咖啡店. 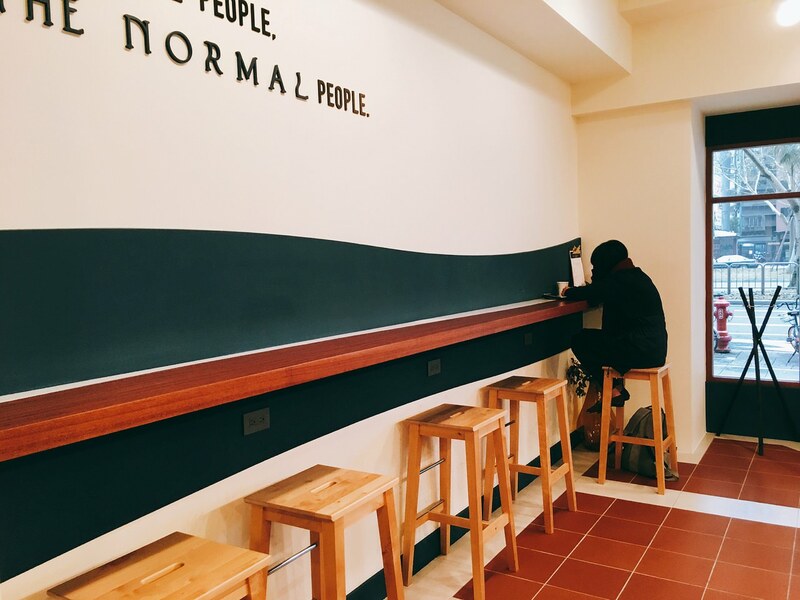 Newly-opened The Normal Coffee Shop is located at 4th section Ren-Ai Road in Taipei City. 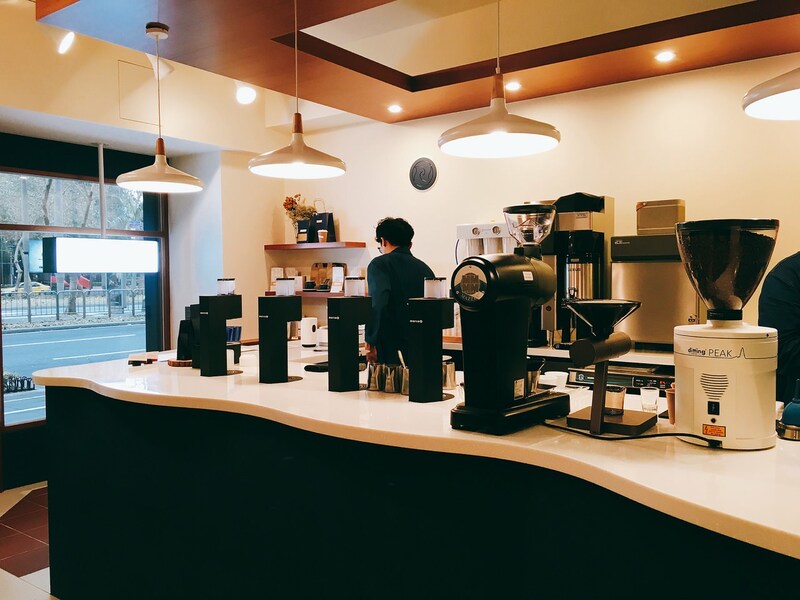 It is one of the coffee shops without limited time policy near SYS Memorial Hall MRT station. 店面裝潢顏色比 “Chou Chou 法式餐廳“ 更偏丹寧藍, 在綠意盎然的仁愛路四段上相當亮眼, 有著 IG-Friendly 的店面, 店員穿著一身類似 松菸 ”十間茶屋“ 的日本元素制服, 一走進咖啡店, 左邊可看到店內販售的精品咖啡豆. 藍白相間的牆邊有可讓客人坐的高腳椅, 桌子底下也有插座.跟 “Fika Fika 咖啡店” 一樣, 店後方有烘咖啡豆機器, 也許可幸運地隔著玻璃看機器運作. The store design color is more like denim color comparing with the navy blue at “Chou Chou French Restaurant”. The color is definitely IG-friendly. The staffs wear the working cloth similar with “SHIJIAN Tea House”. It also sell coffee bean. The high chairs and wall sockets are both near the blue and white wall. The coffee bean roaster is at the back of the store. 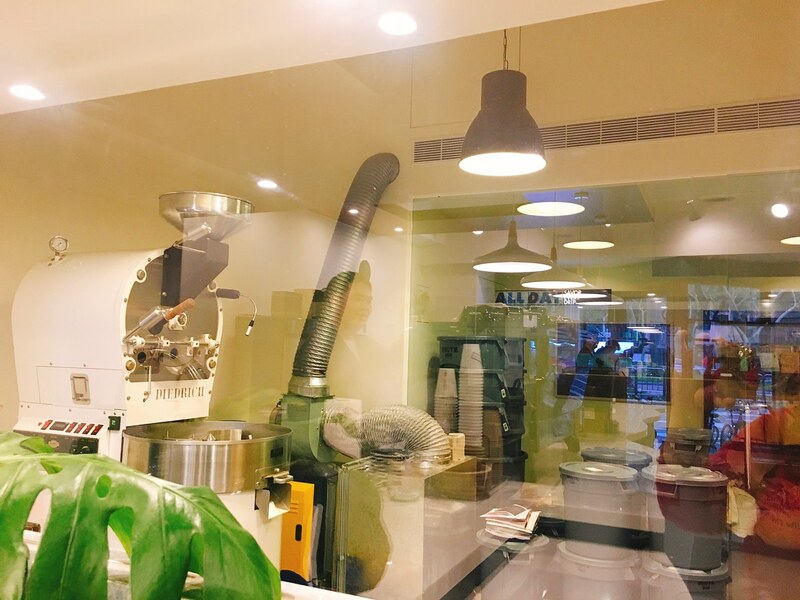 If lucky enough, you can see the machine operate with only transparent glass in between. 較吸引目光的則是櫃台上有四個全自動手沖機器, 代替手沖咖啡壺, 可以精準沖泡時間維持品質, 相當新穎且有效率, 外帶客人不用等待許久即可享用到迷人的手沖咖啡. 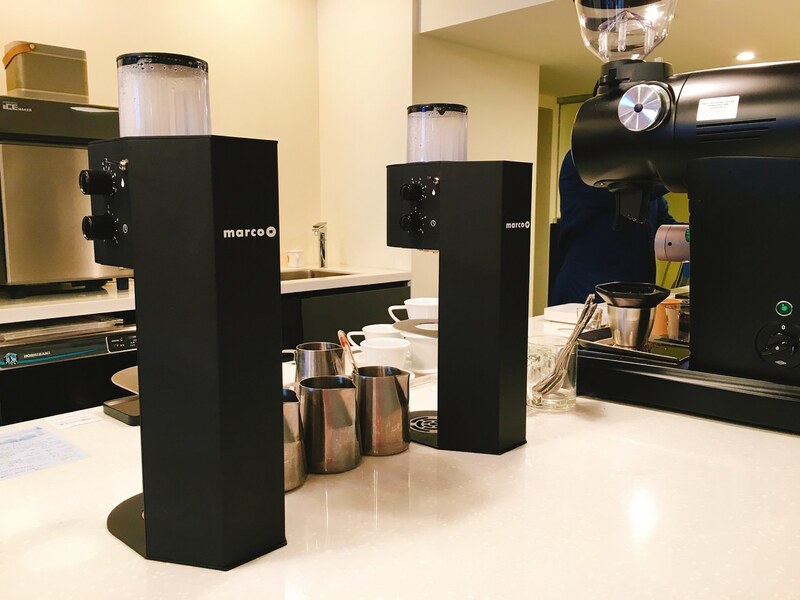 The most interesting part would be the four auto pour-over coffee machine to substitute the regular coffee percolator. The machine can keep the quality attach and effective. 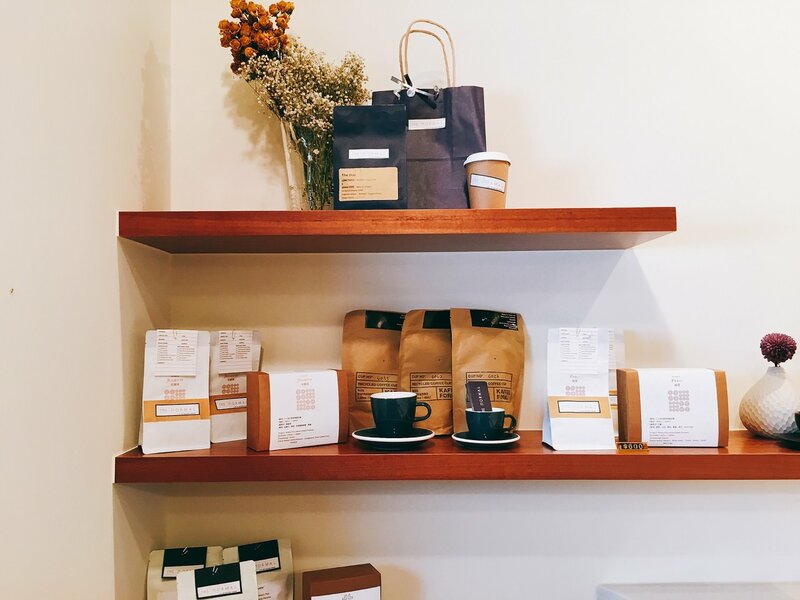 The customer can order to-go pour-over coffee without waiting too long. 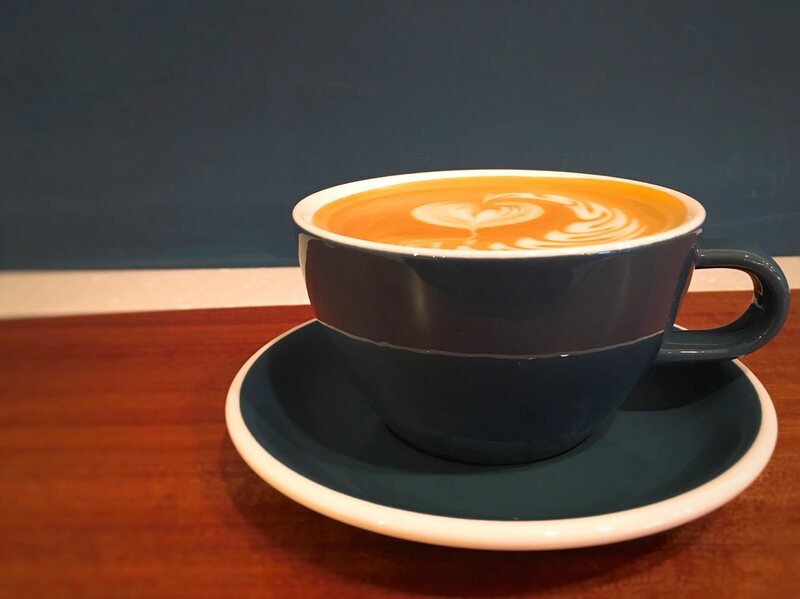 The Normal 咖啡店的外帶咖啡是 8oz, 比星巴克的中杯 (12oz) 小, 跟 Barista 閒聊, 也許因為外帶咖啡杯視覺上較小, 曾經被批評價格偏高. 但是這家咖啡店用的咖啡豆是 “NINETY PLUS”, 也就是冠軍咖啡豆, 若再加上自己烘豆, 一杯 $120 其實利潤抓得很低. 由於這杯咖啡採用的是中淺培咖啡豆, 並不會有過濃咖啡因, 以輕盈的咖啡風味為主導,酸度並不會過強, 是大眾可接受的咖啡風味, 並不會像 “Olivia Coffe Roaster” 一樣有濃郁烘烤堅果香氣, 我會建議咖啡初學者或是嚮往喝冠軍咖啡豆的愛好者來品酌. The to-go coffee cup is 8oz, which is smaller than the Starbucks Tall size (12oz). 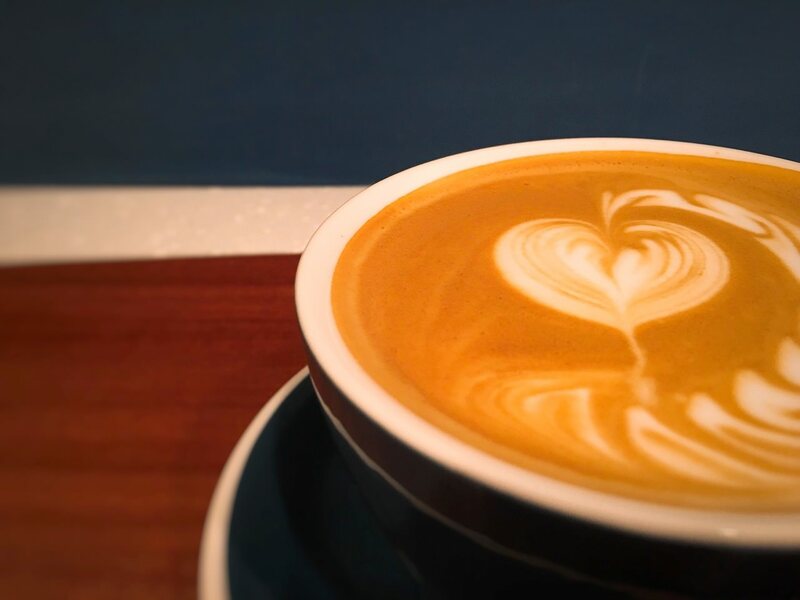 After chatting with the Barista, the customers mentioned that the price is too high since the cup looks extremely small. However, I personally think that their margin is already lower than expected. They use “NINETY PLUS” brand coffee bean, which won many international awards. This particular light-medium roast coffee doesn’t have thick roasted nuts almond aroma, like “Olivia Coffee Roaster”. However, the acidity and bitterness is not overly obvious. 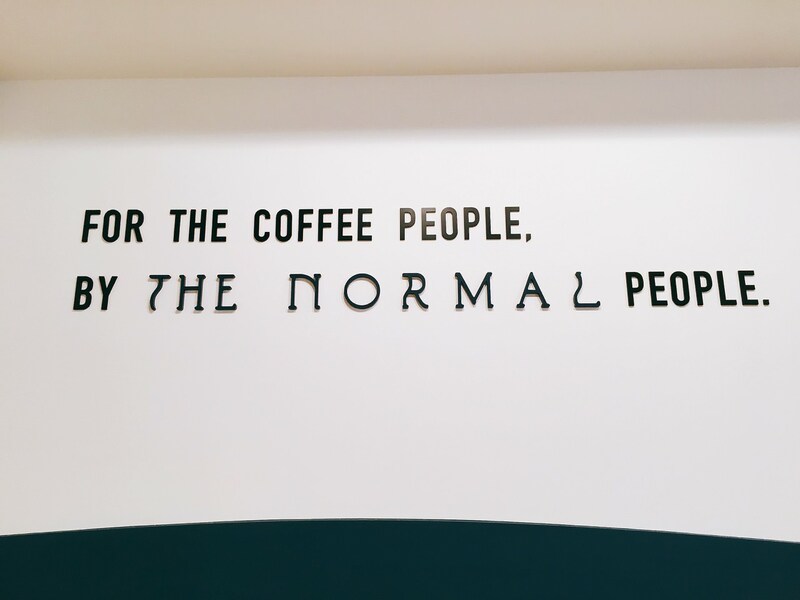 I would recommend the coffee learner or coffee addict to come here to try out.